The second is ensuring the document is stored safely, hopefully for many, many years. It should be storage away from home, to protect you and your family against the possibility of loss or damage through fire, flood, burglary or even fraud, by a disgruntled family member. All our clients are offered free safe storage and insurance for their lifetimes. Same Day document retrival. So if anything happens, your documents are stored in the same building as our probate department, unabling us to advise your next of kin straight away. Everything is stored on our computers and available to the staff who can make changes. Without this your next of kin may need to approach a solicitor. With the average Solicitors bill for probate work during the last three years being around £11,000, this will reduce your next of kins inheritance considerably. For more complex wills, involving inheritance Tax planning or protection against Nursing Home Fees, charges will be considerably higher. The next of kin of all clients have access to our Professional Probate Services and those that pay an annual fee receive a discounted rate. 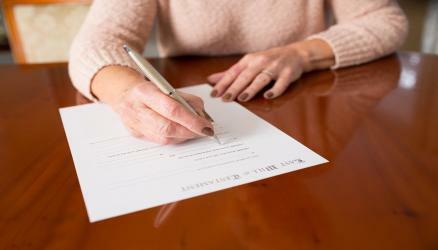 If after reading the Will your next of kin ask us to complete the administration on their behalf, they will receive a significant discount on our probate services. 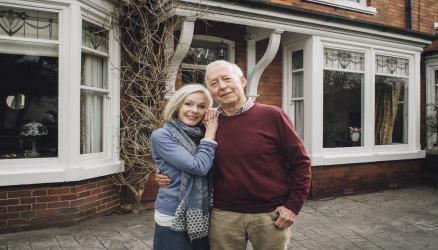 More complex Wills – In particular, those that protect your home against Nursing Home Fees and Inheritance Tax. 5. The Land Registry and Inheritance tax laws changed four times 2003-2007. We kept or customers up to date with the changes, and made alterations where necessary, without further charge. The law regarding the three page Enduring Powers of Attorney changed in 2007 when they were replaced with a new Lasting Powers of Attorney document. This is twenty-six pages long, with fifty-three questions to answer. Solicitor’s average charge for each document is £1200. Our subscribing customers pay from only £99 plus VAT. *All updates are free of charge for clients that continue to pay the annual subscription. In the event of cancellation during or after an update then the company will invoice for the work done. In extreme circumstances, the company also reserves the right to charge for work done in the event of the client passing away after updating documents. All charges are normally waived if our probate team is dealing with the legal work, otherwise an invoice will be raised and must be paid before the documents are released.